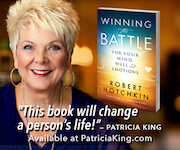 Patricia King is one of the most remarkable leaders of this generation. She is an apostle with a strong prophetic gift that is full of the love of Christ and the wisdom of God. Her ministry is bringing revival and reformation to the nations. It is an honor to know her as a friend as well as a colleague in ministry! For all those who seek to be close to God, close enough to hear His voice, Patricia King is a Godsend! 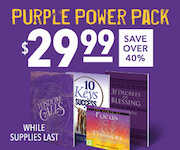 Her teachings and passion will ignite your heart! Patricia King is forerunner for JESUS who goes before others and trail blaze a path that they too can walk in. Patricia King is a pioneer, a modern day Esther and innovator. It has been my honor to walk with this valiant woman, be an adviser, and call her friend. XPmedia founded by Patricia King is a much needed ministry keeping the emphasis of our faith upon Christ, His Power demonstrated through His love gifts of the Holy Spirit, and His compassion for the poor and oppressed. I thank God for what Patricia and her ministry xpmedia, and her other ministries are doing in the Kingdom of God. I also want to congratulate Patricia on the launching of Arise Magazine. It is my joy to endorse Patricia King, a passionate, generous woman of God. Her heart is to encourage the body of Christ and call each of us closer to Jesus. Patricia preached one of the most powerful messages on the cross that I have ever heard. She lives to carry God’s glory. I pray that her beautiful life poured out will be used mightily to minister God’s love and hope on the earth.